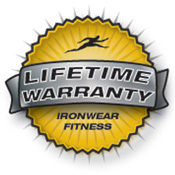 Foot Irons™ is IRONWEAR’s™ new revolutionary invention for weighting an exercisers foot. Foot Irons™ are designed to provide resistance and stay in place during all types of exercise. Foot Irons™ have a unique single piece Flex-metal™ weight that conforms to the shape of your foot and moves and bents with the foot. The soft Flex-metal™ weights comfortably locks into place, (metal bars would jab into the foot and metal shot would move around), only IRONWEAR’S PATENTED Flex-metal™ weights make this product possible. Foot Irons™ are held securely in place by IRONWEAR ™’s latest proprietary strapping system. The unique design includes a large arch strap and a heal strap to secure the weight on a wide variety of foot sizes from size 5 to size 15. The shell is constructed of laminated nylon mesh for maximum comfort and durability. Foot Irons™ use IRONWEAR ™ Flex-metal™ technology to produce the first truly useable high performance foot weights. Foot Irons™ are more comfortable than ankle weights. The unique design produces weights that stay in place even during rigorous exercise. Unlike ankle weights, Foot Irons™do not chafe, inhibit or interfere with your movement. Foot Irons™ do not jar you or your stride like ankle weights. This is because the weights impact the ground at the same time as the ball of you foot. In addition there is no siding action as there is with ankle weights. Foot Irons™ position the weight further from the knee and hip so less weight is required for the same effect. For example a 1.5 pound Foot Iron ™ is equivalent to a 2.5 to 5 pound ankle weight for most exercises. 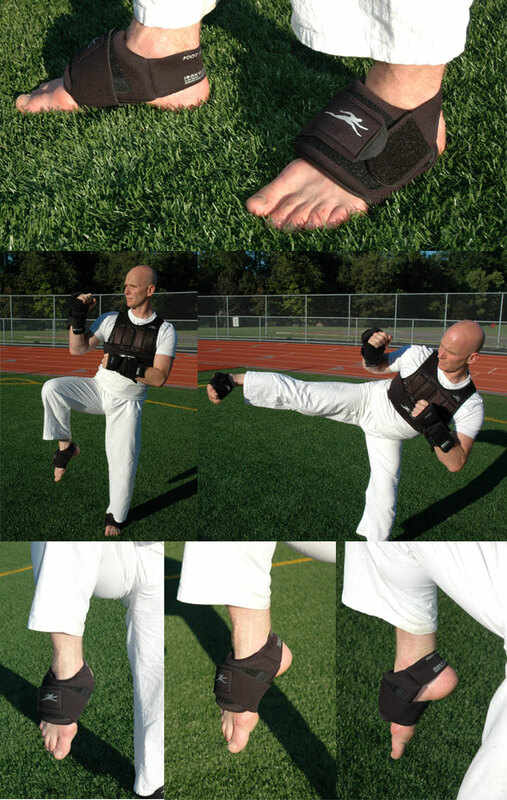 Foot Irons™ are designed for intense Dance and Martial Arts training. No other foot weight can be used for more intense exercises or do what this weight can. Foot Irons™ fit most adult feet from size women’s size 5 up to a man’s size 15. Simply loosen the straps and slide it over your foot, tighten the oversized arch securing strap and then the ankle strap and you are ready to go. Foot Irons™ FI1.5 are 1½ pounds per foot and are supplied as a 3 pound pair.